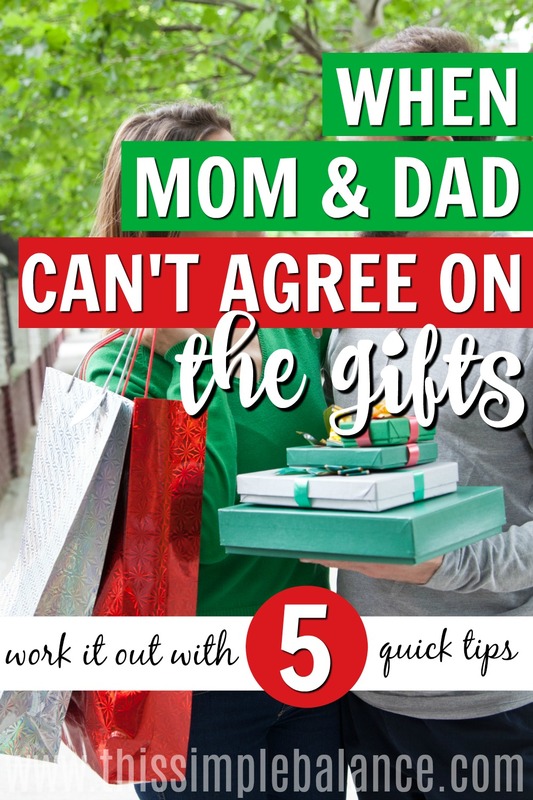 Inside: Agreeing on what to get the kids for Christmas can be tough, especially if you and your spouse have different opinions on what makes a good gift. Use these 5 quick tips to work through it! My husband and I have very different ideas about what to get the kids for Christmas this year. 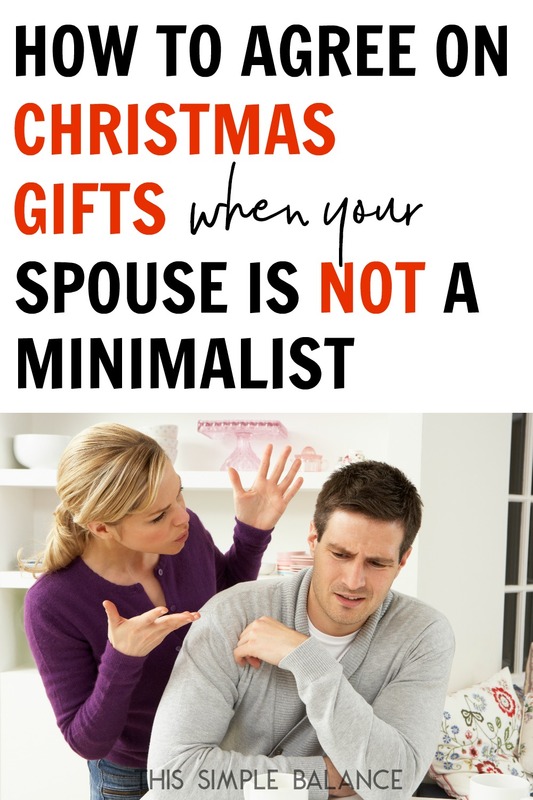 While we are both pretty frugal, I’m a minimalist, and he is decidedly not a minimalist. The only thing we’ve agreed on so far are new bikes for all. Deciding what to get the kids for Christmas kind of reminds me of how choosing names for our boys went down. I’ll throw out idea after idea: he vetoes every single one (without contributing ideas of his own – he just doesn’t like mine). He suggests things that I can’t even consider buying. I just decluttered the toys and gave away the exact same stuff! I suggest things that I can’t believe he doesn’t love. C’mon! The kids play with Magnatiles every day – why aren’t Magnatile Expansion Sets a great idea?! You want practical. He wants fun. He’s a saver. You’re a spender. You hate clutter. He just loves seeing the kid’s faces light up when they get everything on their list. Somehow, you just can’t see eye to eye on any gift ideas. There are about a million possible reasons why parents might disagree on what to get the kids for Christmas. 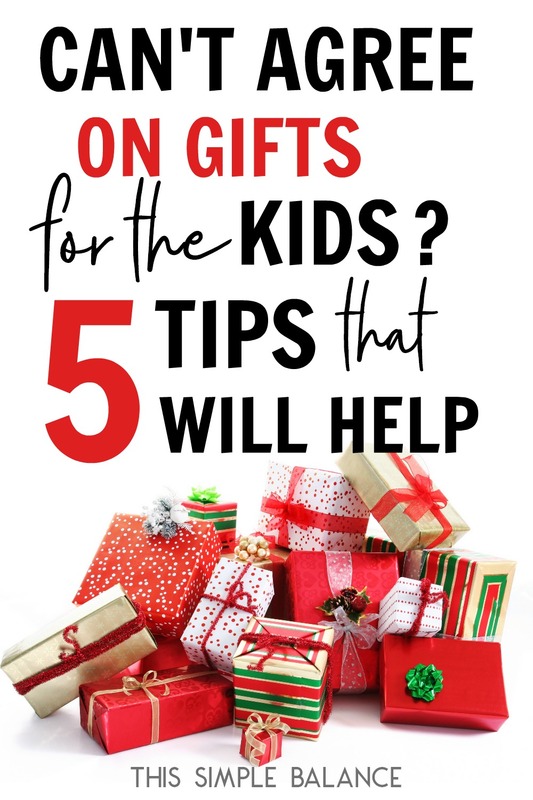 When you may feel like agreeing is impossible, try these five tips to decide what to get the kids for Christmas without completely ruining the holiday! Whether you create an Amazon wish list or put a piece of paper somewhere in your bedroom that the kids can’t find it (hide it well – kids are good at hide and seek! ), you need a place where both of you can brain dump all your ideas. Only rule? Any idea can go on the list – you agree not to withhold judgement until decision day. This might go without saying, but you need a Christmas budget. It really really stinks to still be paying for Christmas next March. And even if you can afford to splurge, a budget sets boundaries on your giving and forces you to choose wisely. Put an appointment in your calendar to sit down and hash it out. Bring the master list you have each been adding to. Obviously, you’ll want to make this a time when the kids are out of earshot – asleep, watching a movie, or at home with a babysitter while you go out. Listening to each other. That’s the hardest part, right? We have our [strong] opinions about things, and we just don’t feel like we’re going to be heard. So we override, interrupt, and cajole the other person to try to get them to listen. I’ve found that the best way to be heard myself is to listen really well (you know, not just prepare my superior argument or rebuttal while my husband is talking). Promise from the start of your date NOT to interrupt each other and to hear each other out. If one of you wants to cut costs, meet somewhere in the middle of your opinions on what to spend. Creating a Christmas budget at the beginning of the year helps circumvent this problem, but if you don’t have one, you’ve got to work with where you are. Agree to each pick one gift out for each child, with no deprecatory comments Christmas morning. You buy for one child, him for the other. He does stockings, you do gifts. There are many different ways to work it out, but at the end of the day, the only person you can control is you. If you just can’t work it out, what you can do is decide to honor the spirit of the Christmas season. You might not like what I’m about to suggest…let the other person choose. While I can’t promise anything, often just relinquishing control when you’re in a tug of war with your spouse can shock him with kindness and cause him to give a little (we can all use a little more kindness, Christmas or not). At the end of the day, kids are kids: they love to get presents! Especially if your kids are small, they will probably love whatever they get for Christmas. Don’t let choosing gifts ruin your family’s Christmas. A few misspent dollars just aren’t worth it.